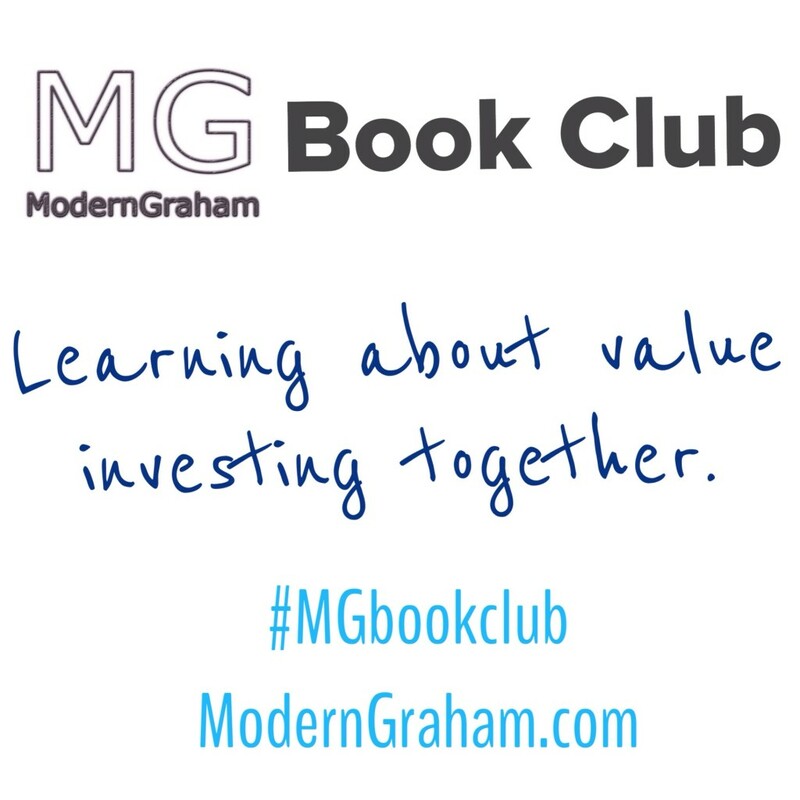 This is the second discussion of the ModernGraham Book Club’s reading of The Intelligent Investor by Benjamin Graham (affiliate link). In last week’s discussion, we talked about the Introduction of the book. This week we will discuss the first chapter, which is entitled “Investing Versus Speculation: Results to be Expected by the Intelligent Investor.” I encourage you to purchase the book (preferably by clicking the link to Amazon, because a purchase through that link will help support the club) and join in with us as we read through a chapter each week; however, even if you don’t have the book I think you will find our discussions to be very useful in your own understanding of value investing, and you can still bring a lot to the discussion from your own experiences as an investor. Whether this is the first day you’ve ever been interested in investing, or you have decades of experience with the stock market, we’d love to hear your thoughts in the comments below! In this chapter, Graham begins by defining investing as an operation which “upon thorough analysis promises safety of principal and an adequate return. Operations not meeting these requirements are speculative.” On ModernGraham we’ve tried to keep that distinction by suggesting that companies must pass requirements for either the Defensive Investor or the Enterprising Investor as these requirements help to achieve the “promise of safety of principal and an adequate return.” Any company that does not pass the requirements is then deemed to be speculative. The chapter continues with Graham explaining in some detail the results expected by (1) speculating, (2) defensive investing, and (3) aggressive investing. Please feel free to leave a comment on this post with your own responses to the questions, along with any other thoughts you have, and return throughout the next couple of days to see what others have said. Later in the week, I will choose my favorite comment and feature it in a post on the site, so be sure to be thorough in your discussion! This chapter has some great parts in it, and some admittedly very dry parts. In particular, I found two parts of the chapter to be highly interesting: the section dealing with speculation and the section outlining the aggressive investor’s (we refer to the aggressive investor as an Enterprising Investor; Graham tends to use the terms interchangeably) expectations. When we begin investing it is critical to understand the results that one can expect; it is not likely that the investor will find riches easily and quickly in the stock market. Rather, the investor who finds success will be the one that puts in the time to study his opportunities to determine whether they fit Graham’s requirements of safety of principal and adequate return. In this chapter Graham does a nice job of setting up his later argument of why intelligent investing is the preferable method through illustrating why alternative approaches are unsuccessful. I was particularly thankful, however, for the commentary by Zweig as I got a bit lost in the numbers Graham included in his narrative. Zweig’s additional thoughts helped to put Graham’s message into today’s context and I really enjoyed some of his additional insights. Particularly, his quote on page 36 that “Wall Street has calibrated the odds so that the house always prevails…”. For me, this highlights why it is important for us as individuals to do our own research on stocks and not rely solely on the opinions of others (this blog included). I am also fascinated by the Figure 1.1 as I was unaware of how short the length of ownership on many of these stocks was and I’m curious to know what the current trend would be. In a culture of instant gratification I imagine that if anything, the timeframe has gotten shorter. This, coupled with the problem of investing based on emotion that Graham noted in the first chapter is bound to frequently result in loss for many. Please leave a comment below and feel free to answer any of these questions, or just give your general thoughts. How can we summarize Graham’s definition of the difference between a speculator and investor? Graham mentions on page 19 that in the 1940s most people would consider stocks too speculative. How do you think the average person feels about stocks today? How should an intelligent investor feel about stocks? Graham states that some amount of speculation is necessary. What amount of speculation do you feel comfortable with? What was your favorite quote from Graham in this chapter? Have you ever speculated? If so, what were your results? Despite continued examples of the success of those who follow Graham’s methods, they remain unpopular on Wall Street. Why do you think that is? In his commentary to this chapter (found in the newer published edition), Jason Zweig pointed out in the “investing” craze that happened during the late 1990s, and how many people did not follow Graham’s suggested requirements for investing. How do you think the principles Graham taught in this chapter would apply to the market today? What are some other ways to participate? If you are a blogger, you can give your thoughts in a post on your own site, link to the discussion here on ModernGraham, and I will be sure to let our readers know that the conversation is going on over at your site as well. In addition, you can use the hashtag #MGBookClub in social media to talk about the book on Twitter or Facebook! 1. Quite simply a wise investor uses due diligence before buying a security and a speculator does not. 2. I think the average investor invests in mutual funds through their emoloyer sponsored retirement program. Warren Buffett was quoted in the Huntington Post today as recommending the average investor should invest into an index fund and not look at it often. 3. As little as possible. 4. Favorite quote: The defensive investor must confine himself to the shares of important companies with a long record of profitable operations and in a strong financial condition. Second favorite: Never mingle your speculative and investment operations in the same account, nor in any part of your thinking. 5. My worst speculation was Advanced Battery Technologys (ABAT). Lost 90% of value. Hoping to pick half of that back up in the ongoing law suit. 6. It is human nature (crowd mentality) to get in on the action – the faster the action the more appealing it is. 7. As long as there are GAAP requirements Graham’s concepts will be of value. The Preface in my version was written by Warren Buffett who I quote: As long as you follow the behavioral and business principles that Graham advocates – and if you pay special attention to the invaluable advice in chapters 8 & 20 you will not get poor results from your investments. Also, Buffett’s preface is in the newer editions too, and that is a great quote. However, I view it as a little bit of an example of how Buffett has moved away from some of Graham’s teachings over the years. It seems like he puts the greatest emphasis on chapters 8 & 20, and sometimes ignores the rest of the book. 1.How can we summarize Graham’s definition of the difference between a speculator and investor? -Graham’s idea is that an investor is someone who uses thorough analysis to obtain safety of principal and an adequate return; all others are speculating. I agree, but I have three categories as I distinguish between speculators and gamblers. Graham mentions that there are intelligent speculators and unintelligent speculators. I believe the unintelligent speculators are gambling. For me, speculators have performed analysis and understand the high risk/reward relationship and accept it. Gamblers have no idea of the risk and have not performed analysis. 2. Graham mentions on page 19 that in the 1940s most people would consider stocks too speculative. How do you think the average person feels about stocks today? How should an intelligent investor feel about stocks? – I think many people have no idea what a stock is. I ask my beginning finance students what’s the difference between a stock and a bond is, and they have no clue. 3. Graham states that some amount of speculation is necessary. What amount of speculation do you feel comfortable with? -Because I have a background in Finance I am comfortable with risk as long as I can measure it and the reward matches the amount of risk. 4. What was your favorite quote from Graham in this chapter? -“We can go further and assert that an astonishingly large proportion of the trading in common stocks, those engaged therein don’t appear to know–in polite terms–one part of their anatomy from another”. 5. Have you ever speculated? If so, what were your results? – I have not speculated in the financial markets, but I did wager at dog races with very good results. 6. Despite continued examples of the success of those who follow Graham’s methods, they remain unpopular on Wall Street. Why do you think that is? -Because value investing requires patience and most people want to get rich quick. Also, fund managers are under pressure from impatient investors who demand results now. 7. How do you think the principles Graham taught in this chapter would apply to the market today? -Many people were burned in 2000 when the heady days of the late 1990’s came crashing down. I remember commentators making fun of Warren Buffett as being over the hill. Today people remember and look for value. It is harder to find value opportunities today. net-nets are very scarce. Mark – Your finance background certainly comes out in your answer to question 3. I read it and immediately pictured the CAPM analysis taking place. But I think you can take it one step further as a value investor. Instead of feeling comfortable if the “reward matches the amount of risk,” I think we must only feel comfortable if the reward outweighs the amount of risk. I stumbled across this article from August that reminded me of why Graham wants us to do our own research. 1)	A speculator will buy or sell a security based upon impulse or emotion; they rely on qualitative information as a basis of reasoning at best. While on the other hand, the investor will objectively weigh and measure the financial information of a security; they rely on the quantitative information over a long period of time for a basis of reasoning. 2)	I am sure many people today feel that owning stocks is speculative. The pain of the recession is too close to memory. The intelligent investor should feel great about stocks because many are still relatively on sale compared to their highs before the recession. 3)	Any decision you make has an element of systematic risk, and you have a limit on how much caution and effort you can employ to eliminate unsystematic risk. There is always a chance some information will come out or some event will happen that you could not take into account in a calculation for many reasons. I feel comfortable when I have analyzed all available information, and I have come to a reasonable value for cash flows, asset balances, debt balances, and ratios. If the price makes sense from this analysis, then I can accept the risk and the possibility of a loss. 4)	One of my favorite quotes is, “…that the investor cannot hope for better than average results by buying new offerings, or “hot” issues of any sort, meaning thereby those recommended for a quick profit.” This reminds me of a friend that is at best a speculator asked on facebook if he should buy shares of facebook the day it went public. I said you cannot see the financial, so why would you put any money into a sales pitch? 5)	I speculated by purchasing investment real estate. I planned to have the property as a retirement asset, so I was not worried about the short run. It pays for itself and that was my key metric. I don’t plan to sell it until I am well into retirement. 6)	I would think they are unpopular with your local broker/ investment representative and Wall Street. Their incentive is not aligned with the investing public’s best interests. They make money when you trade and let them control your money, and they have stiff short run sales/performance goals. They will tell you anything they can to get you to transact. There is nothing like seeing a wholesaler for a major mutual fund company spin their snake oil to the investment rep at a local financial institution. The reply to these people should always be that you make your own investment choices, and I don’t need the opinion of a salesman. 7)	I think the principles of Graham apply well today as they always have. All you need to do is look at Netflix and wonder why the voting machine has been winning over the weighing machine in such a drastic fashion. John I like your comment that purchasing facebook the day it went public would be putting money into a sales pitch. We knew people who purchased facebook that day and I felt like they were buying into facebook’s popularity rather than facebook as a viable business. Since then there has been the hype behind twitter’s IPO and speculation of Pinterest’s value as a company. With over $540 million already poured into Pinterest and a $3.8 billion estimated value, it has yet to make any revenue. While Pinterest will undoubtedly generate revenue, it feels far too speculative to be an investment option for a value investor. Heather – It is all sales pitch. If you don’t have several years of cash flows from operations to measure, then it is too in a commercial banks eye, and there is no guarantee they will get to the classic “going concern” accounting status. I would much rather diversify with well established companies, and even they are not immune to the political events of today – Russia invading Ukraine. We have a real life example of systematic risk, and I wonder how many of the Graham approved companies were on sale today? 2. To start with, the average person probably has an insufficient understand of what a stock really is. In general I think that most people considers stocks too speculative. At the same time the intelligent investor should probably not feel too exited, about either the general market or most common stocks, due to the levels they are trading at right now. The number of bargains has fallen as the market has risen. 3. I like to buy stocks without paying for growth, though I’m willing to accept some amount of speculation, first in the form of a conservative estimate of expected future growth that is deemed reasonable compared to the facts and circumstances known today. 5. Yes, by buying shares in a business without having the proper knowledge of the fundamentals. The result… disaster. 7. If you look at how fast the consensus can change and prices go up and down, it seems like Graham’s principles are not that widely practiced. If they were, stock prices would be more stable. From looking at the market today, it seems like too many people are willing to pay too much to own stocks. It is easily forgotten that higher stock prices as of today, implies lower returns going forward. This post has also been published at http://hurricanecapital.wordpress.com. I like your point that the instability of the market points to the fact that not many people are following Graham’s advice. It shows how much people are allowing themselves to get wrapped up in the emotion of the stock market and ignoring the proper framework needed to intelligent investing.